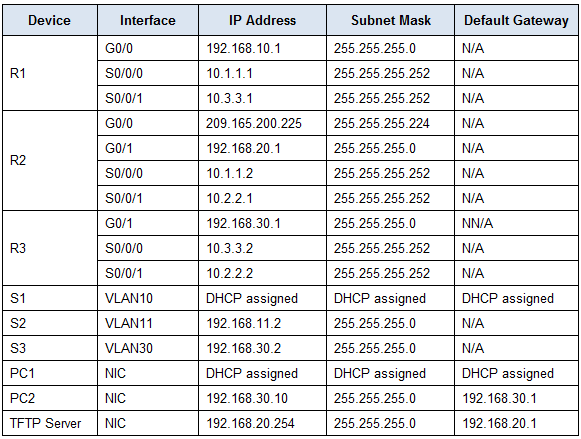 · R1 is the DHCP server for the R1 LAN. · Port security is configured to only allow PC1 to access S1’s F0/3 interface. All violations should disable the interface. · Link aggregation using EtherChannel is configured on S2, S3, and S4. 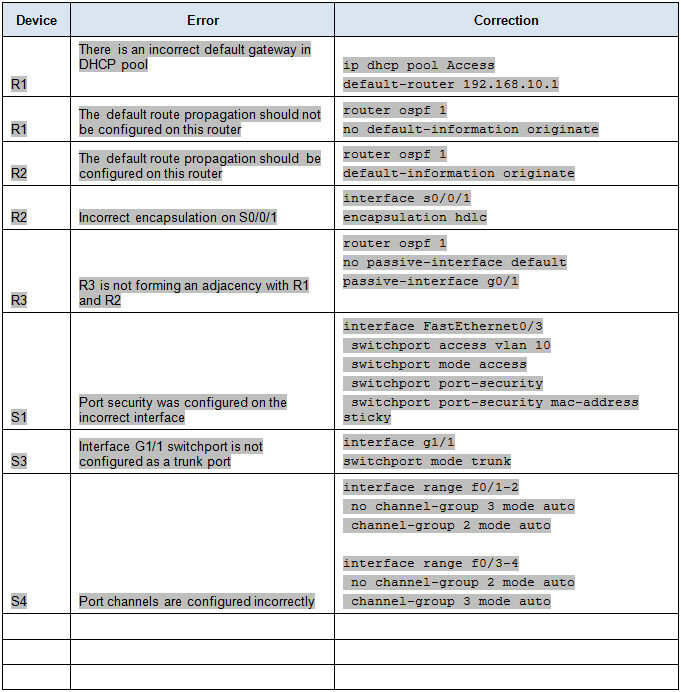 · All routers are configured with OSPF process ID 1 and no routing updates should be sent across interfaces that do not have routers connected. · R2 is configured with a default route pointing to the ISP and redistributes the default route. · NAT is configured on R2 and no untranslated addresses are permitted to cross the Internet. · The serial link between R1 and R2 uses Frame Relay. · The serial link between R2 and R3 uses HDLC encapsulation. · The serial link between R1 and R3 uses PPP with PAP. Instructor’s Note: The answer key for this section is left blank because there are many ways to verify the requirements. 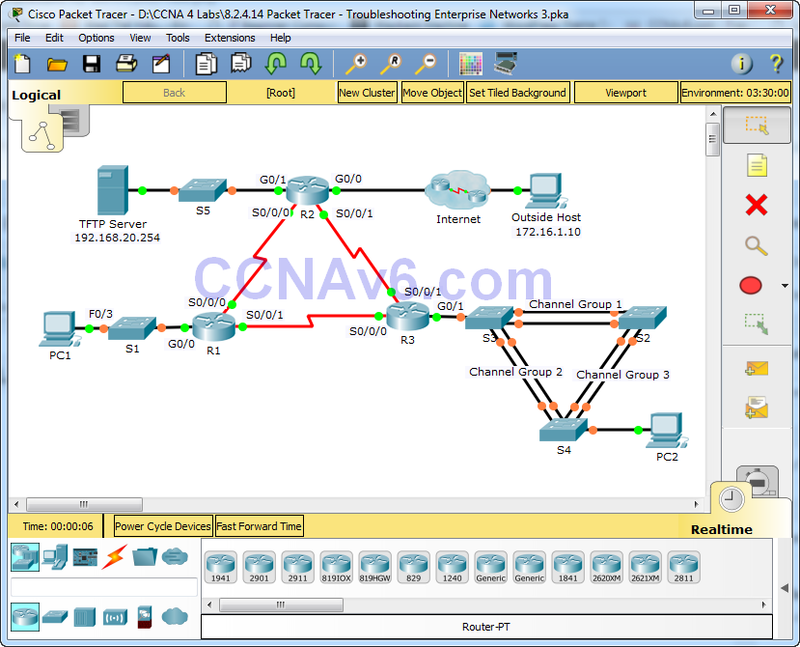 Packet Tracer scores 60 points. The troubleshooting documentation and instructor verification is worth 40 points.